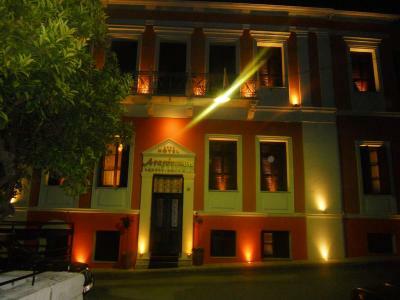 Lock in a great price for Boutique Hotel Anagennisis – rated 8.8 by recent guests! Great breakfast and a most hospitable host at the front desk, and he took care of all the details. He found us a place for dinner when everything was closed Dec 26. It was a very nice, authentic family-run restaurant, run by the same family for many generations. He gave us all the information to go to Olympia. 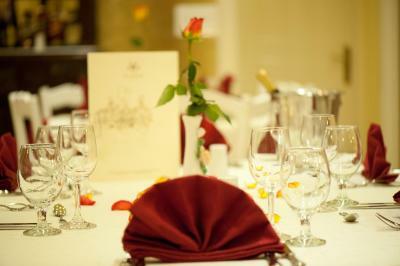 The room was beautifully appointed and comfortable. We can't wait to return. Gorgeous apartment! Excellent communication and very helpful. They even gave recommendations for local shopping and restaurants. Superb experience! 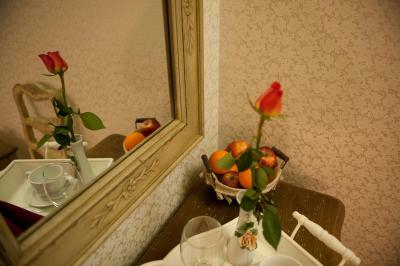 Very good location, rooms are fresh and well decorated, very kind and helpful personal, fantastic breakfast. We would gladly stay there again! Excellent interior and exterior decor. Staff (especially Harry and the breakfast staff) extremely pleasant and happy to assist with restaurant recommendations and any breakfast requirements. Bed extremely comfortable. Centrally located with an old world charm. Lovely breakfast and very helpful and polite staff. A particular favourite was Harry, who would fit in well at the Savoy! Staff were excellent, bed super comfy and breakfast fab. Very friendly and helpful staff on reception. Room was a good size and well equipped. Breakfast was excellent and the hotel was only 3 minutes walk to a pedestrian area full of bars, shops and restaurants. An amazing boutique hotel, built in a classical style! A very good room, decorated in an old style. A good breakfast and a very helpful and polite staff. A place that makes the traveler to return! Boutique Hotel Anagennisis This rating is a reflection of how the property compares to the industry standard when it comes to price, facilities and services available. It's based on a self-evaluation by the property. Use this rating to help choose your stay! Boasting a convenient location right in the center of Pyrgos, Boutique Hotel Anagennisis offers stylish accommodations with city views and free WiFi. The hotel is housed in a 19th century building, which also includes a restaurant. Featuring carpeted floors and bright colors, the rooms are individually decorated with Victorian-style furnishings and fitted with carpets. Each air-conditioned unit is equipped with LCD TV, mini bar and telephone. The bathrooms are stocked with toiletries and a hairdryer. Breakfast can be served daily in the room, while guests can also enjoy Mediterranean or Greek traditional flavors in the elegant setting of the on-site restaurant. Available services include ironing, dry cleaning and room service. 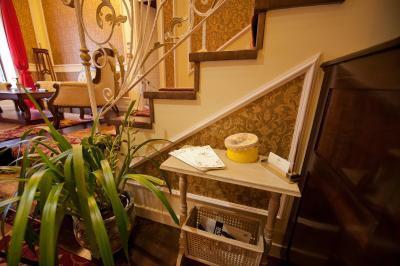 The front desk is at your disposal 24 hours per day. 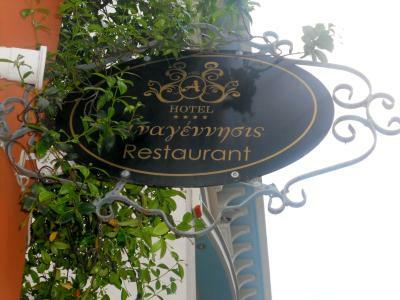 Boutique Hotel Anagennisis lies within 150 feet from the center of Pyrgos, where guests will find shops, restaurants and café. Kaiafa Lake is at 18 mi and the Archaeological Museum of Olympia is 12 mi away from the hotel. 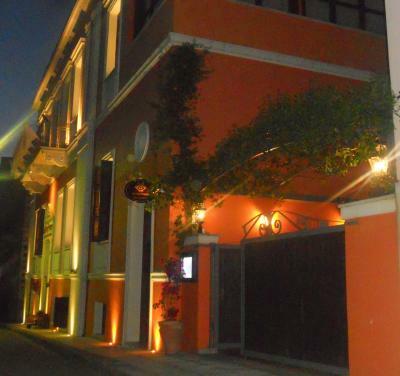 When would you like to stay at Boutique Hotel Anagennisis? Enjoying views of the city from its window, this soundproofed room features hypoallergenic Cocomat bedding, air conditioning, LCD TV and a mini bar. Each room is elegantly decorated with classic furnishings and includes a private bathroom with toiletries and a hairdryer. Offers free Wi-Fi. Featuring a hydromassage shower cabin with sauna facility, this air-conditioned room features hypoallergenic Coco-Mat bedding, an LCD TV and a mini bar. 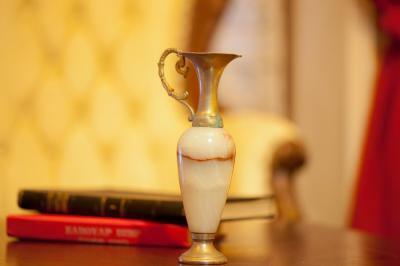 Each room is elegantly decorated with classic furnishings and enjoys city views from its window. Free Wi-Fi is available. This is a nonsmoking room. Elegantly decorated with classic furnishings, this air-conditioned room features a shower cabin with hydromassage facilities. It offers hypoallergenic Coco-Mat bedding, a flat-screen TV and a mini-bar. Free WiFi is available. This is a nonsmoking room. Please note that the third guest is accommodated on a rollaway bed. Elegantly decorated with classic furnishings, this air-conditioned room features a shower cabin with hydromassage facilities. It offers hypoallergenic Coco-Mat bedding, a flat-screen TV and a mini bar. Free Wi-Fi is available. Guests can enjoy views of the city from the window and balcony. This is a nonsmoking room. Elegantly decorated with classic furnishings, this air-conditioned room comes with a spa bath or a shower with hydromassage facilities. It features Coco-Mat bedding, hypoallergenic mattresses and a mini-bar. A flat-screen TV and free Wi-Fi are available. 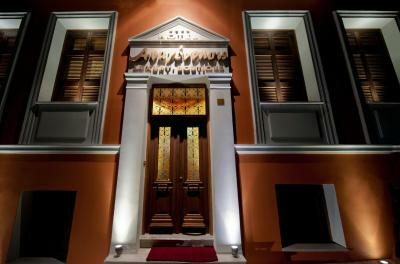 House Rules Boutique Hotel Anagennisis takes special requests – add in the next step! Debit card Cash Boutique Hotel Anagennisis accepts these cards and reserves the right to temporarily hold an amount prior to arrival. Boutique Hotel Anagennisis accepts these cards and reserves the right to temporarily hold an amount prior to arrival. Please confirm with the hotelier if you wish to make use of the weekend breakfast in the room. 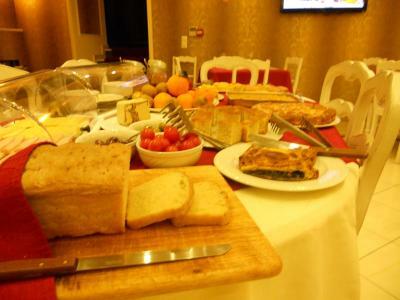 The property participates in the Greek breakfast initiative by the Hellenic Chamber of Hotels. Very good breakfast and great service. The air conditioning was unable to cool the room in the late afternoon. The shower was not easy to use. The small shower that had a spa facility but you had to sit down for. Nothing specifically about the hotel - it is a very good choice for Pyrgos. However, it is presently in a run down (but safe) part of town, and that will be obvious when you arrive - nothing the hotel can do about that of course! If arriving by car, have a good SatNav, as the town is full of narrow one-way streets and the hotel is difficult to find at night. You may also have to drive around to find somewhere to park. Wifi was spotty in the room, but when my husband went down to the main lobby where the connection was strong and mentioned the spotty wifi to the concierge, they were able to reset it. Not a deal breaker, though. Beautifully renovated 19th century building. The rooms are stunning. The bed was so comfortable that my husband and I delayed going out for food or to the beach just so we could enjoy lying in it for more time! I have never slept on a more comfortable bed in my life, and I've stayed in some pretty great 4 and 5-star hotels. The king-sized bed has an extra, smaller mattress on top of it and this is what made the difference. Location was on a quiet side street in the centre of Pyrgos, a 5-minute walk to the main square with tons of cafes/bars and restaurants around. Staff was friendly and knowledgeable and extremely welcoming. Breakfast in the restaurant was included and was delicious with an assortment of items available. Omelettes were made to order, as was fresh-squeezed orange juice. Bathroom was spacious and had a jacuzzi. Parking was available on the street and was safe. 10-15 minute drive to various beaches in the area. Would recommend to anyone to stay here! Worth every euro! The aircon and wifi are needing a bit of updating, and we'd have liked to be able to make hot drinks in the room. The restaurant on site was closed but this wasn't a problem as eateries are just a short walk away. 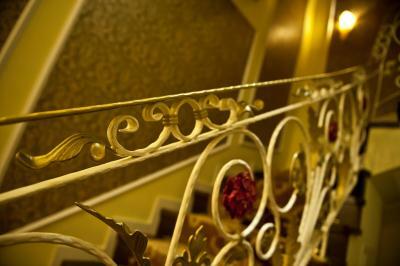 The building is renovated really well, beautifully decorated and secure. The evening manager was excellent and helpful. The posh shower was not needed, and the sleep system may not suit everyone, but all in all it was fine for a short stay. Easy location near to centre.